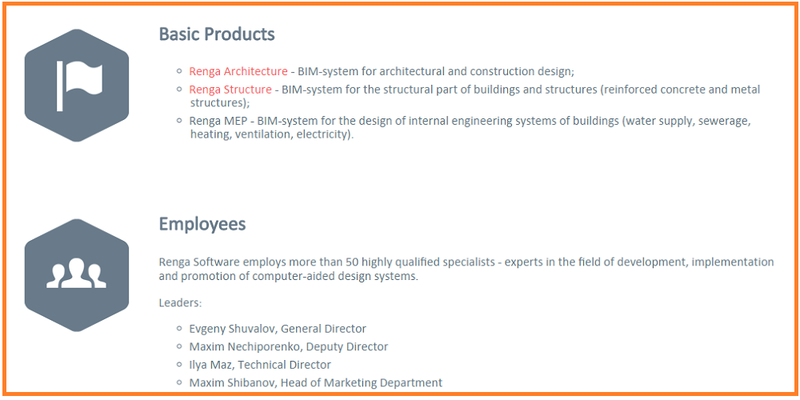 ASCON is the largest Russian developer of engineering software and an integrator in the field of automation of design and production activities. It is one of the top 100 largest IT companies in Russia. The products of ASCON embody the achievements of the national mathematical school, 25 years of CAD experience and a deep expertise in the design and management of engineering data in construction and engineering. Renga Software uses the experience accumulated by ASCON when developing and promoting its products.